We know the basics: Moisturizer keeps skin hydrated and fortified. We know we’re supposed to wear it and make it part of our daily routine. Beyond the basics though, there’s a lot we don’t know about moisturizer, like which one we’re supposed to use and the correct way to apply it. Plus, there’s a lot we think we know that is just plain wrong. Let’s clear up the rumors, shall we? 1. The way you apply moisturizer can actually make you look older. Even though you are applying hydration and nutrients directly onto your skin, if you apply from top to bottom, you may be doing more harm than good. This is because applying from top to bottom causes you to continuously tug down on the skin, which can lead to sagging, says Dr. James C. Marotta, a facial plastic surgeon and skin care expert. Always apply from bottom to top, and make sure you are rubbing it in gently, especially around the sensitive eye area. 2. You should never skip your evening skin care routine. You’ve heard that it is important to use a good moisturizer at night, and there actually is science behind that tip. During the night, our bodies lose a lot of water, so using a good moisturizer will ensure you that your skin does not get too dehydrated throughout the night. Moreover, at night the human body automatically goes into “repair mode,” so a good cream containing the right ingredients will aid in repairing skin ailments, says Marotta. 3. You must pay attention to your skin’s specific needs. People with dry skin may need to moisturize more often than people with regular or oily skin. However, that is not to say that people with oily skin should not moisturize. Moisturizers do much more than simply help hydrate dry skin—they add important vitamins and nutrients to the skin and enhance its function as well, so every skin type benefits from them. Marotta recommends that anyone who has oily skin search for moisturizers that can help reduce excess sebum production while still providing the nourishing benefits. 4. You may need different moisturizers for different areas of your skin. 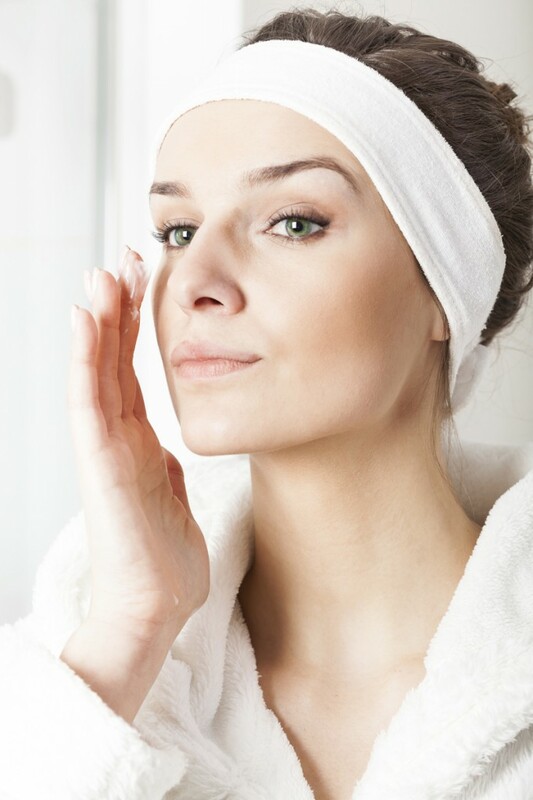 For instance, a moisturizer may be great for your skin, but don’t consider using it as an eye cream. Those are very specific and address different needs. And if you have facial areas that are far more dry or oily than others, you may want to consider having specific skin care products for each area. 5. The best times to moisturize your skin are generally after you shave, exfoliate or bathe. Shaving and exfoliating normally lead to the removal of dead skin cells, but they can also strip your skin of natural and essential oils, so it is important to replenish with a good moisturizer, says Marotta. Additionally, right after you bathe or wash your face is an ideal time to apply moisturizer for maximum benefits (when the skin is still wet). This is because the moisturizer will capture the water that is left on your skin and seal it into your pores. This will provide great hydration for the skin that will last longer than moisturizing alone, especially on dry skin. 6. Some occasions require more moisture than others. For example, during the winter it might be necessary to moisturize your skin more often, or you may need to switch to a heavier, more hydrating moisturizer. During the summer when your skin is oilier, consider switching to a lighter moisturizer that helps regulate sebum production while still providing benefits and protection.